One of my favorite movies is "The River," filmed on location in India by Jean Renoir. It includes beautiful river scenes filmed by the son of a great Impressionist painter. My favorite part is a study of all the different stairways leading to the river. I'm reluctant to say exactly what the stairs signify, but they seem full of meaning. 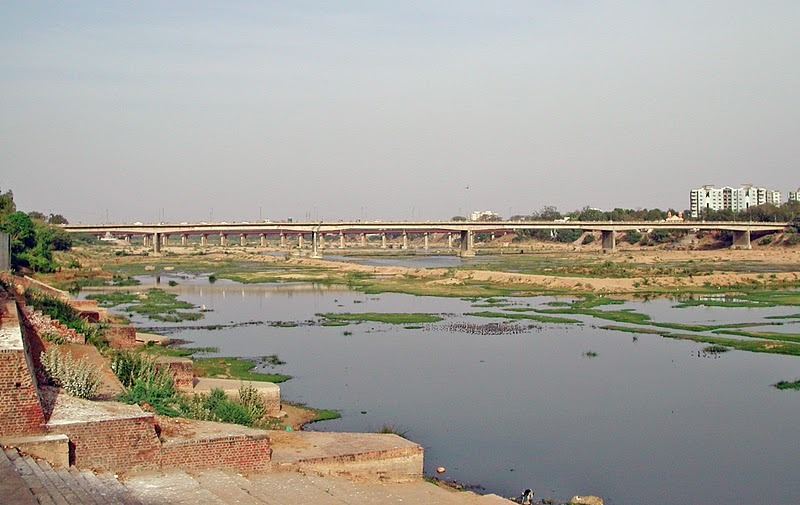 India's Bridges: Subarmati River Crossings in Ahmedabad, Gujarat by Mark Yashinsky is licensed under a Creative Commons Attribution-NonCommercial-NoDerivs 3.0 Unported License.